We can either cross over the Saddle ( recently a team of Bengali Trekkers has done that in September), but mostly will come back to Do Dang and exit via Ghat, trekking through the deep forest cover of Lata Khopri and the villages of Sutol and Sitel, following the Nandakini River. The sight of the beautiful circular glacial lake, emerald in colour, in the covering of snow all round it with tall mountain walls rising over it. 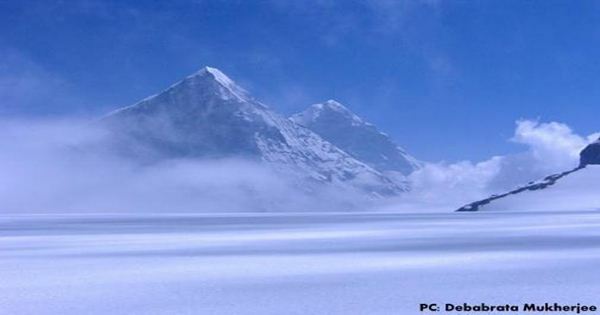 This sight inspires a mixed feeling - fearful, unbelievable, surprising, exquisite and what not !! The Lake does look appealing to the eyes and is definitely photogenic, but what gives the lake its real worth is the name which it has got for itself - The Skeletal Lake. 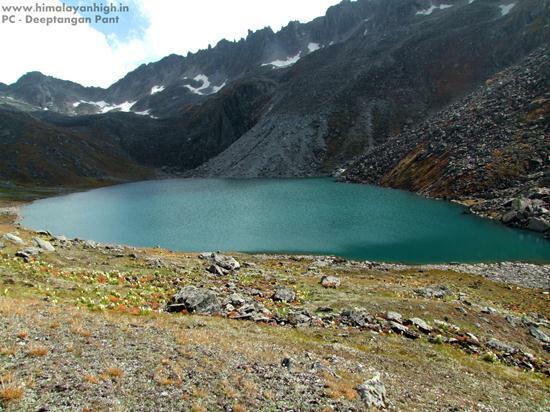 There are lots of other lakes in the Himalayas much beautiful than the Roopkund, but this lake is special. 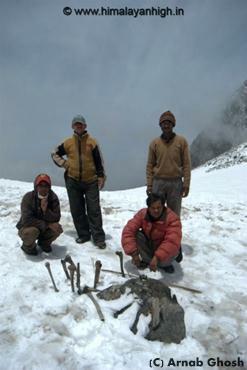 The mystery surrounding the lake due to lots of scattered human bones which are too big for the current generation of Indians, is what makes Roopkund one of the most sought after trek in the Himalayas. It took the World by its imaginations and lots of theories are available on the cause of the mass death around the lake. Recently, the theory reasoning a pilgrimage hit by a massive hail storm causing the tragic death is more believable as per a research study. 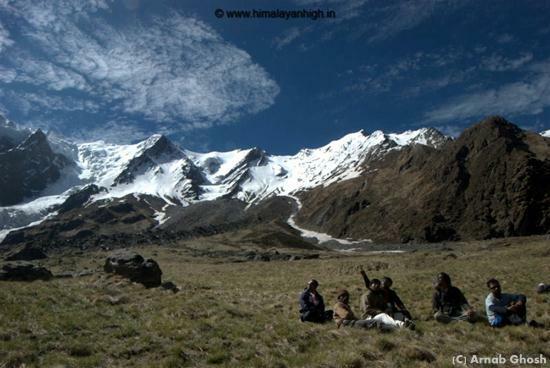 In this trek, we come across 2 of the most beautiful meadows in Uttrakhand - the Bedni Bugyal and Ali Bugyal. The soft mattress of green grasses feels just wonderful, and is even beautiful with sheep grazing on them. Hovered by beautiful snow covered peaks of Chowkhambha, Trishul, and others, this is one of the most photogenic Bugyals you may come across. 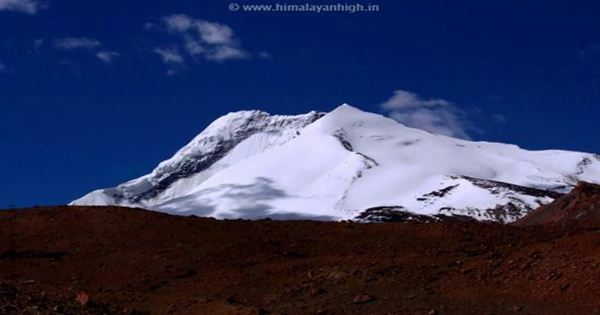 Roopkund is perhaps one of the best treks to do in the Himalayas. 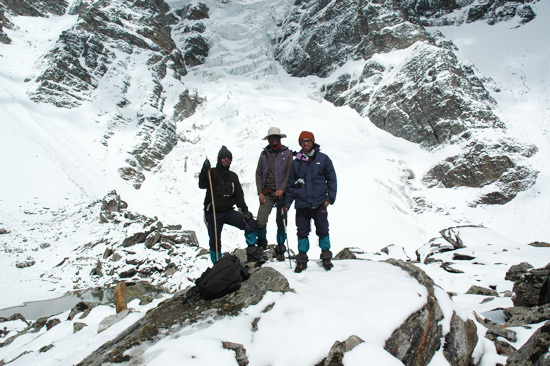 Until recently, it was peaceful with few odd trekkers trekking in self organized small groups. The current scenario of this trek is very saddening. 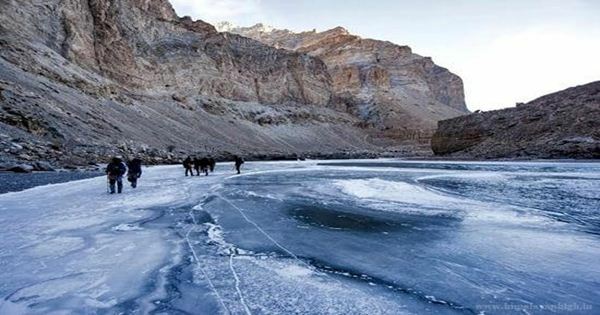 With unsurpassed and unregulated rise of irresponsible trekking agencies in India, and the false hype created by the online content marketing websites has made a huge negative impact on this trek. 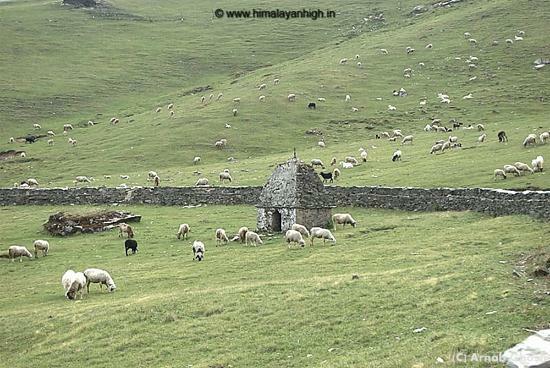 The situation is such that in the pre-monsoon season of May-Jun, atleast 100 trekkers camp on each campsite, everyday on this trek. Few of the bigger operators and some of the pioneers bring bulk of trekkers to this wonderland. Most of this crown is not Nature Friendly. The rush is such that the local operators and these big companies cannot meet the demand. So, there lots of other small operators who get their groups too, most of these are nonprofessionals. Also, there are self organized groups too. 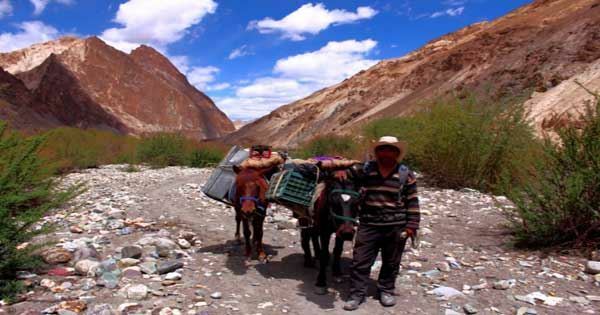 Then there are local resources to add to, like mules, mules-men, guides, porters, cooks, helpers, etc which accompany the groups. 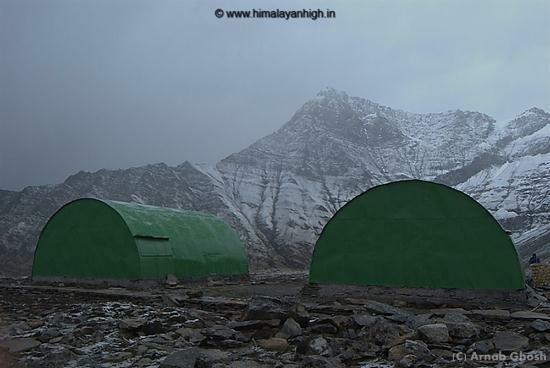 The trekker's hut built by the Government for the trekkers permanently occupied by bigger companies to use as kitchen. What kind of push is it on the Nature to accommodate that huge rush ?? I have no imaginations for it, hence I leave it upto the readers. 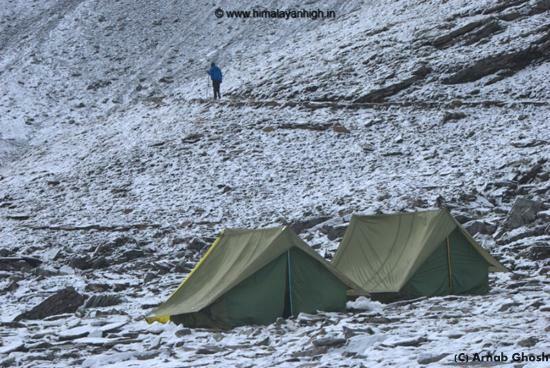 All these spoil the ambiance of the trek and we don't like organizing the Roopkund trek until situation betters. 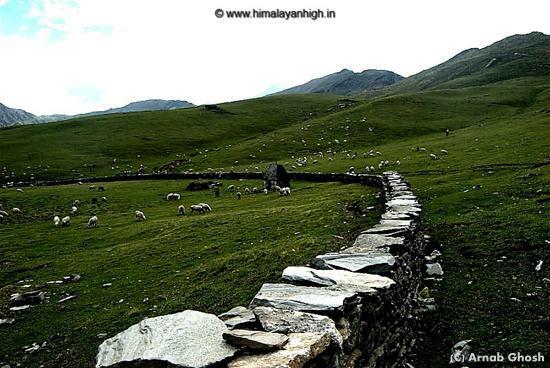 We are more in favour of the Ronti Saddle Trek which is much peaceful once we cross the tourist spot of the Roopkund trek. We believe that a smaller group gives you the best of the Himalayan Experience and specialize in organizing customized groups for the Ronti Saddle - Roopkund - Homkund Trek. 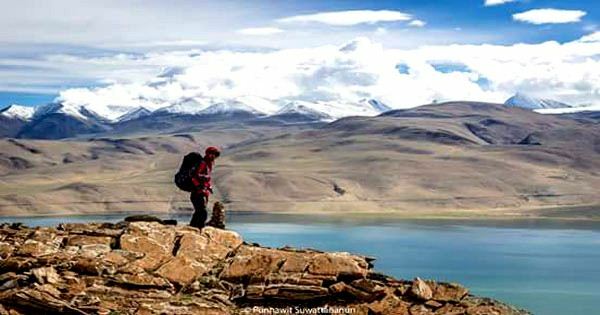 Do get in touch with us if you want us to arrange this trek for you. 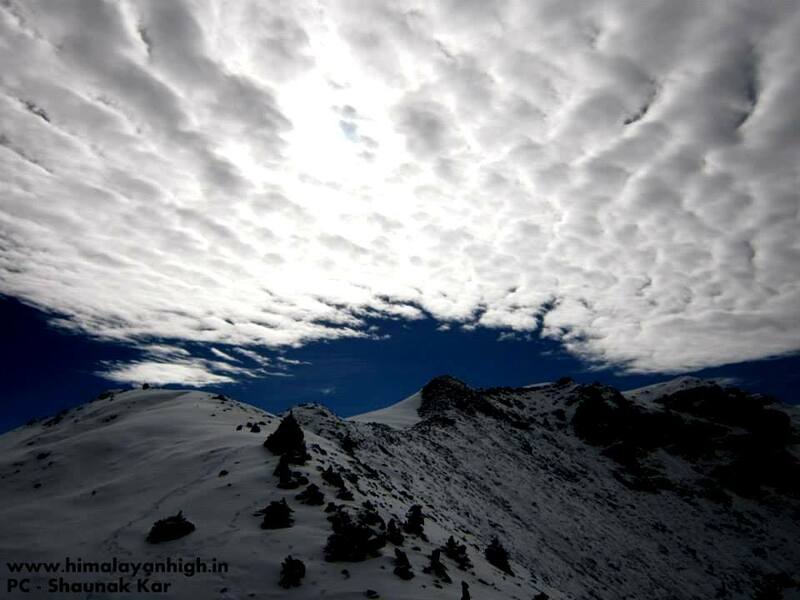 You can use the link - Customized Plan For Ronti Saddle - Roopkund - Homkund Trek to drop us an email with your specific requirements and service required. We will get back to you with the detailed plan and quotation as per the group size and service requested. 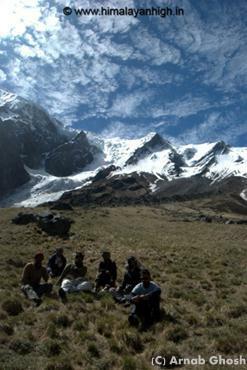 Ronti Saddle - a saddle between the 2 grand mountains stand at 5200 meters and offers you enough challenge to reach it. However, on reaching there, you may decide which of the 2 mountains to touch !! 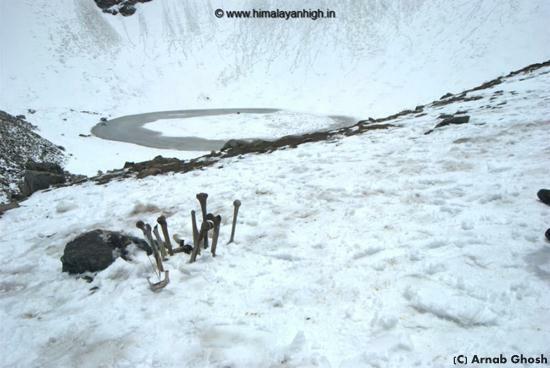 The mystery and history of the Skeletal Lake - Roopkund. 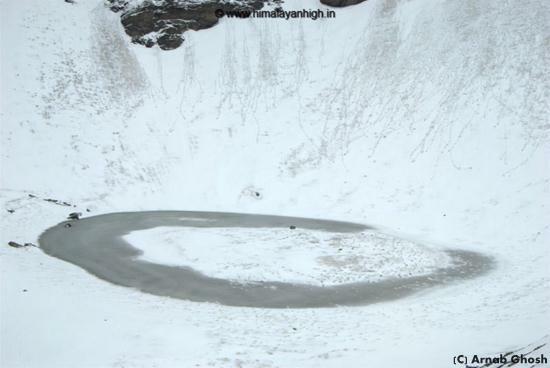 Its a small circular high altitude glacial lake surrounded by snow on most part of the year. The lake is surrounded by human bones which reveals itself mostly when the snow cover is lesser. 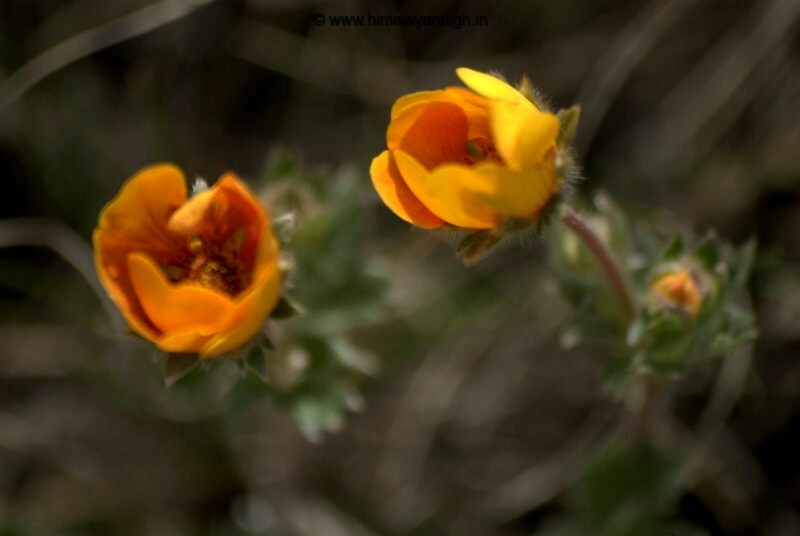 The best bugiyals or meadows of the Himalayas - Bedni Bugiyal and Ali Bugiyal. 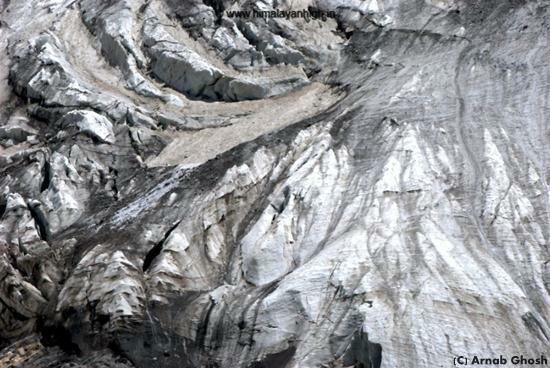 Sheela Samudra - the glacier of Mt Trishul. A glacier full of tarns and boulders. Witnessing avalanche is a normal thing here opposite to your camp in the glacier. 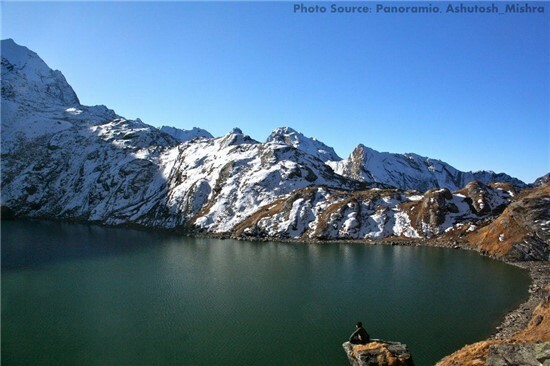 Homkund is another high altitude glacial lake just below Mt. Nandaghungti and Ronti Saddle. Keeda Jadi or Yartsa Gumba and its crazy drive amongst the locals during June, July. Today after breakfast, we have a small briefing on the trek and most importantly the team introduction. After we wrap up formalities quicly, we get ready for the trek. Our loads are packed and there we are, ready to hit the trail. Our trail for the day is easier as compared to the entire trek and soon we get lost in the beauty of it. We trek through the forest following the Neel Ganga. The trail is initially easy which then starts to climb up steadily. As the trek continues, we get set into it and start negotiating the climb to Ali Bugiyal. After a good climb, we reach our destination for the day. Didina is a beautiful campsite and we spend rest of the time exploring the place. As we start the day, to leave our campsite at Didina behind and begin with an easy trek up to Tolapani. Tolapani is a cluster of some 6/7 huts of shepherds. It makes the place very picturesque and we spend some time here. After Tolapani, we now start to negotiate switch-backs through the forest for about 2 hour which brings us to one of the best Himalayan meadows - Ali Bugyal. Its a lovely meadow amidst the forest and takes our heart instantly. We spend some good time here depending upon the weather. One more of a finest bugyals is waiting for us and we head towards i, yes - The Bedni Bugyal. 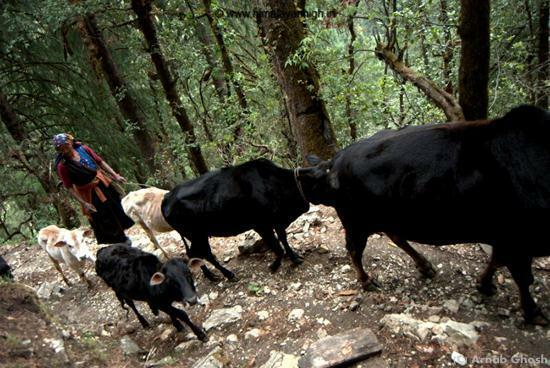 It takes some good walk of around 2.5 hours to reach Bedni Bugyal from Ali Bugyal. 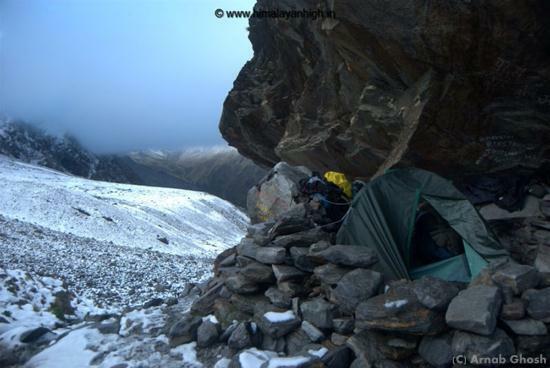 Once we reach we know why it is regarded as one of the best campsites in the Himalayas. In the evening, do not forget to click some reflection of the beautiful Trishul on the Bedni Kund, a small lake in the campsite. 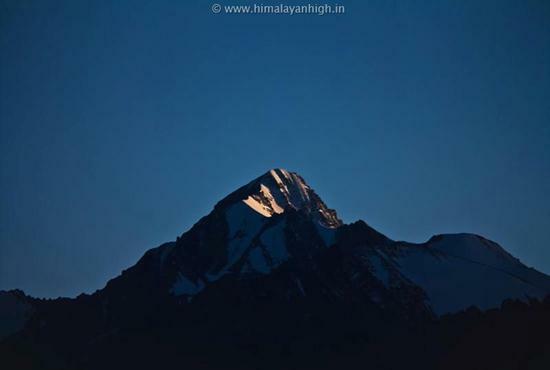 Our morning is delightful today with views of great number of Himalayan peaks like Trishul, Nandaghungti. Chaukhamba and Nilkantha. The sight definitely energizes us all as we prepare to start the trek for the day. We can see our route through the mountains as we are above tree line now. The trail is a easy walk and soon reach Ghora Lotani. 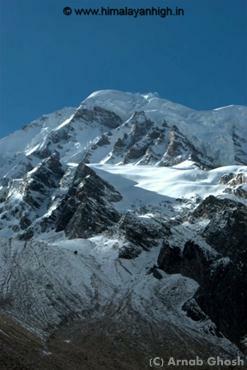 From Ghora Lotani, Patharnachauni is a gradual ascend. 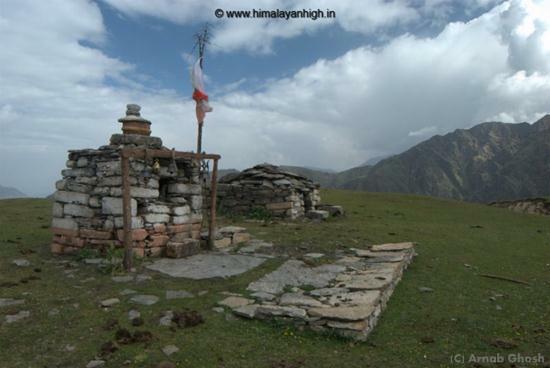 It is marked by the green trekker's hut built by the Forest Department for trekkers to rest for the night. 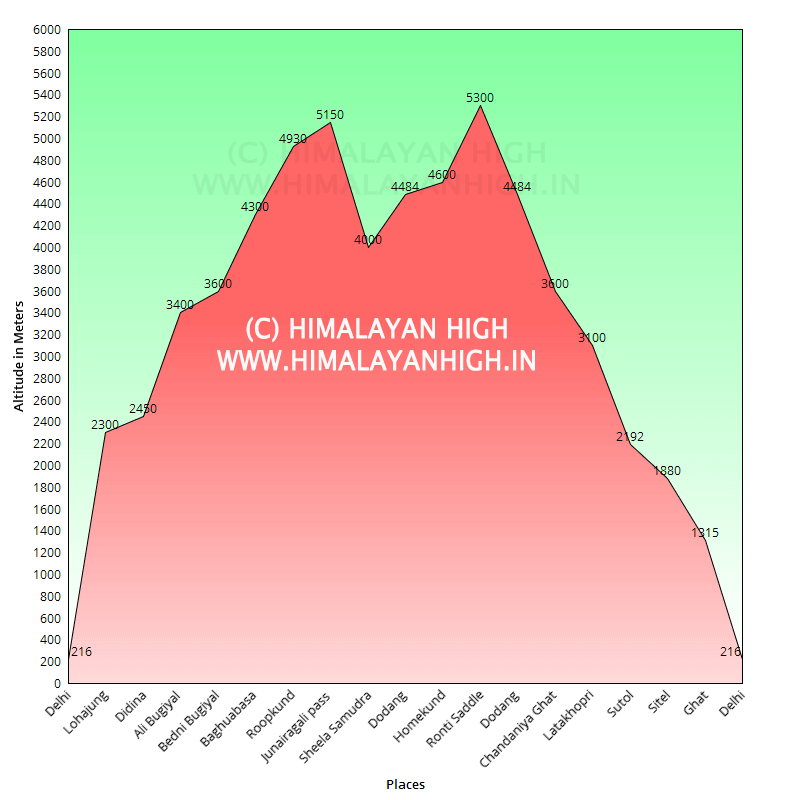 From here our climb becomes tougher as we now start negotiating the switch backs to ascend Kullu Vinayak. Its a 2 hour steep climb. This stretch tests our mental stamina and physical health too. 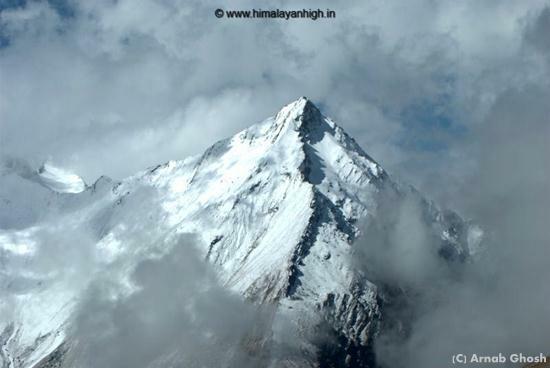 The Kalu Vinayaka top is marked by a small temple of lord Ganesha. Baghua Basa is an easy walk from Kalu Vinayak top. 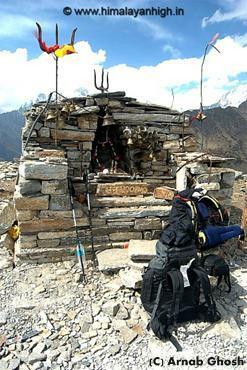 The trail gently climbs down and take a slow left turn to reach the campsite of Baghua Basa, which too has green Trekker's hut. Enjoy the beauty around !! We are to cross the Junargali and hence do not have much time to kill. 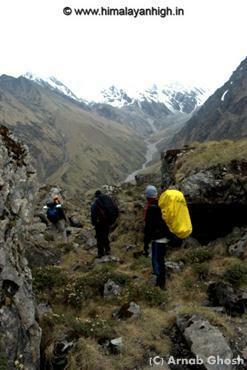 Much difficult task is still to be completed and we get ready for it and that's climbing the Junairagali Pass. 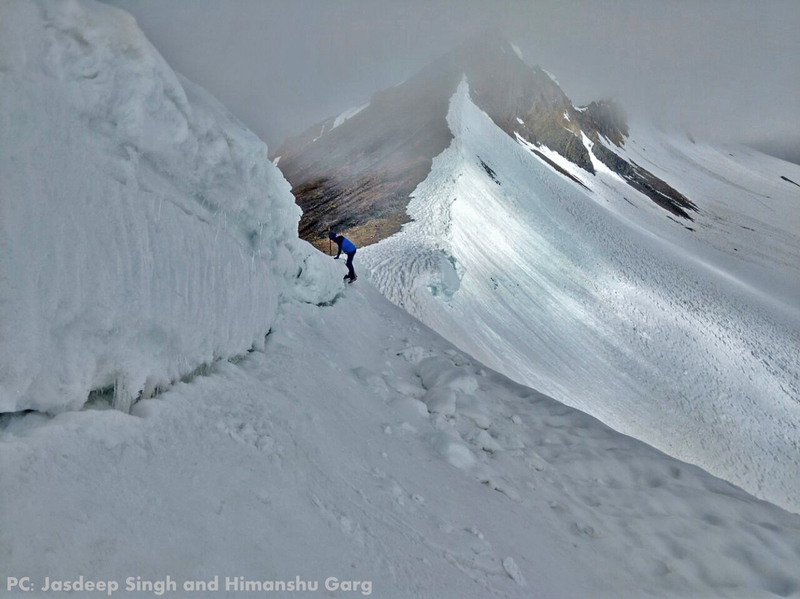 We are up against a very steep wall of hard snow and is difficult to climb without support of ice axe. The fall is exposed and a slip can be fatal. Hence rope is necessary. Anti slip traction crampons can help if there is too much hard snow. Its takes about an hour to climb to the top. The descend from the pass top to Sheela Samudra is a sharp one initially which requires good concentration. Snow makes it further trickier. Its best advised to follow the trusted steps of your guide here. Around 2 hours of continuous descend brings us to our campsite marked by a huge boulder which acts like a wind shield. Its been a tiring but rewarding day. 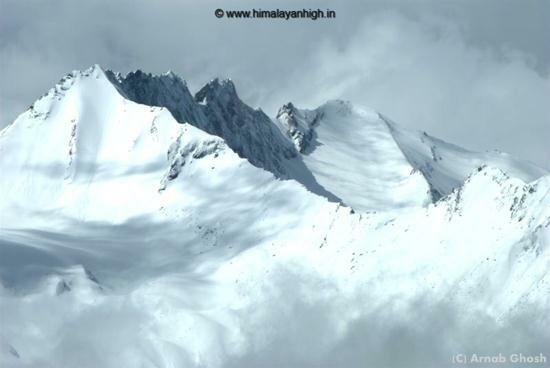 So rest out the day glancing the beauty of Trishul which is so close by from here. Rest and local exploration day. Sheela Samudra, as the name means - sea of rocks. The name could not be perfect. 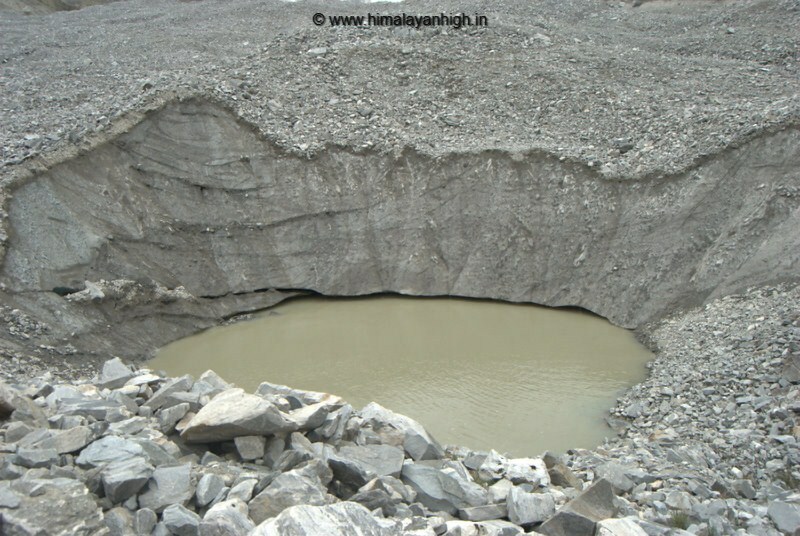 The view of the glacier flowing down Trishul is nothing but a huge system with lots of broken tarns and huge boulders. Gushing wind, Sounds of cracking avalanches and waterfalls which starts flowing in afternoon and freezes out again by evening are very common here. Sighting vultures and other birds are another common thing. Bring your camera to good use on this day. This day also helps us serve the important acclimatization. We feel fresh after a rest day and are fully prepared to tackle the day. 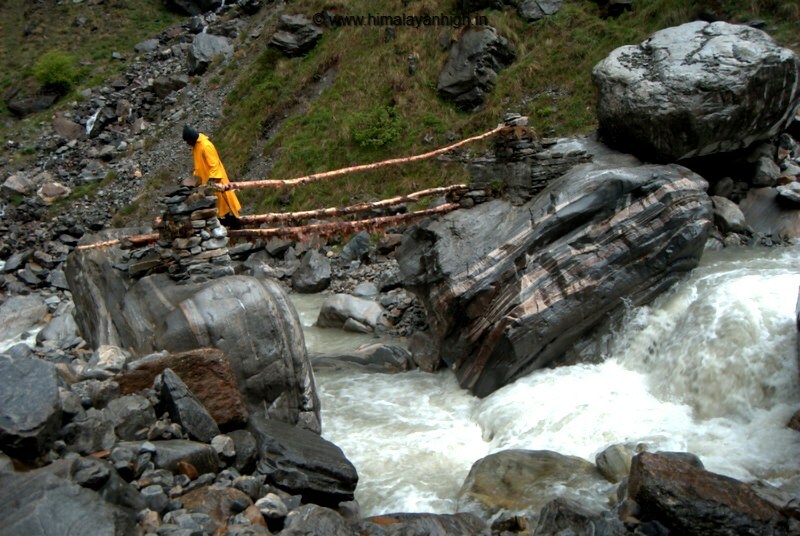 We start off slowly and soon find ourself crossing the boulders of Sheela Samudra. We witness numeric tarns of the once a mighty glacier. The route then follows the Nandakini river climbing gradually upwards, though some part of the trail is unmarked and very slippery with almost no distinct trail. We need to be careful in these sections. Our campsite is marked by a huge boulder forming a cave. Look back at Junargali from here and you will be thrilled. Rest the day out. Its a difficult, but most important day today for us, as we hit the trail to reach our goal for this trek - The Ronti Saddle. We start our trek early. After some easy trek we come across a sharp ridge breaking down from its right hand side, almost like a 90 degree slab of mud. We take the trail little downside on the left side of the ridge which looks safer. The rigde slowly turns right to bring you to Homkund. 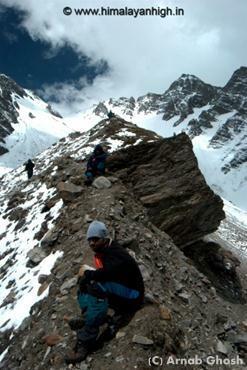 After offering prayers, we start to climb up the steep snowy climb to the Ronti Saddle. Initial scrambles and walk over the boulders for some 2 kilometers and then zig zakking through the snow field, we reach the top. 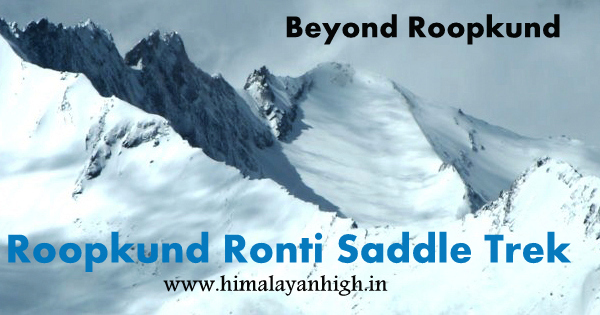 Its a 2 hour steep and strenuous climb from Homkund to Ronti Saddle. The views offered from the top of Ronti Saddle is breath taking. 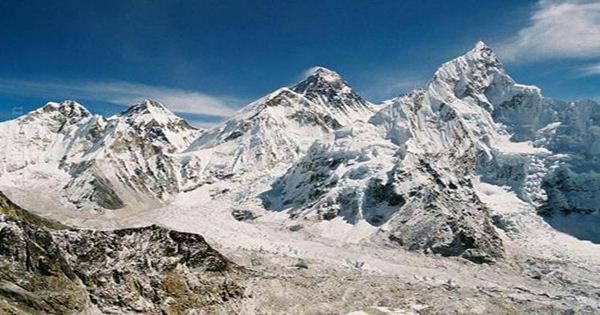 Ronti Peaks 1, 2 ; Trishul 1, 2, 3 ; Nanda Ghungti ; Dronagiri looks just amazing and a sight only the lucky few gets. The summit of Nandaghungti looks quite teasing from this point. We spend as much time as possible keeping the weather in mind, as this is the day and the place we worked hard for, all these days !! We start to descend the same route and it takes us couple of hours to reach back Do Dang from here. We have returned with a fulfilling experience. The sight and achievement does not leave our mind. This is an eventful day with a eventful river crossing to do. Its a long day and the river crossing is the trickier part. 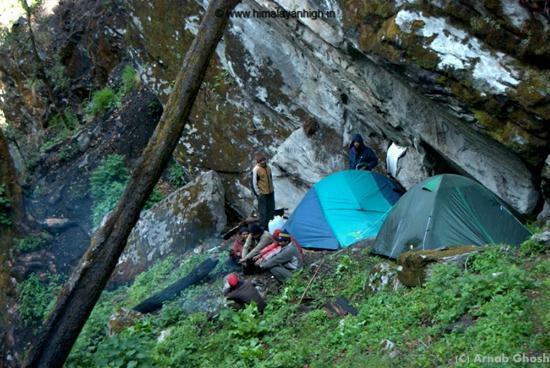 Once thats done, we take it easy to reach our campsite at Lata Khopri. 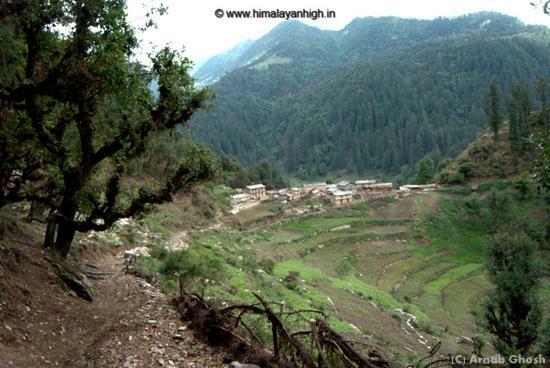 The trek passes through some of the deep lush green forest of the Nanda Devi Biosphere. Its a beautiful campsite amidst the deep jungle. With all views blocked by the jungle, today is the time to do some macro photography. The descend down to Sutol is a picturesque one which descends down through the forest. Sutol is a beautiful village with a temple, shop and few homes. Do use your camera to the fullest as after a hard trek, you get to see some locals, houses, river, bridge, temples, domestic animals and conversations with the locals. You may chose to take a bath in the river as well. Our descend back to civilization ends today as we hit the trail with great energy. There comes few shops on the way where we can satisfy our crunch for normal eateries. About 4 hours of walk get you down to the motor head where your cab will be waiting to take you down to Ghat, where our trek ends. It has been a wonderful trek with wonderful people all around and offcourse the Mighty and Godly Himalayas were there always to motivate and support you. 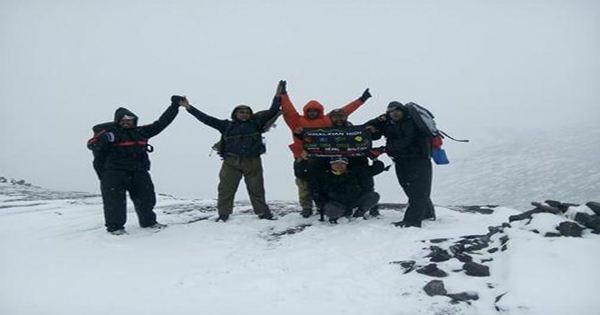 Congratulations for completing a wonderful trek. Yes Yes, we do have a blasting party to celebrate it.